Do your kids treat you with respect? If not, you are the only one who can change this. Your children will treat you with respect when you insist on being treated with respect. 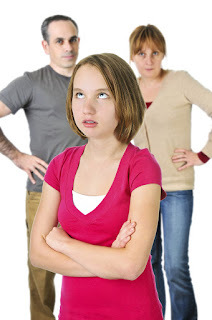 Likewise, if your child is speaking to you disrespectfully, you can always respond “I’ll be happy to talk to you just as soon as you are treating me with respect.” By consistently pushing back whenever your children cross the line into being disrespectful, they will learn to treat you with the respect you deserve.